Our gallery of selected dance videos is open to post your material. Contact me if you wish to share your work (same for editing or updating already posted videos). Imago Ep.I: Orientation from Die Wolke Art Group on Vimeo. Interesting and beutiful hybrid between a dance film and a narrative short. 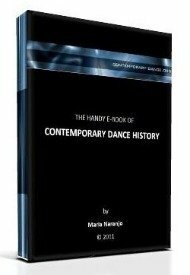 Marie Chouinard... a celebrity in the field of transformations of the body (which is a big affair for contemporary dance). Here's a beautiful example of a dancer with a great sense of music and the musicality of dance. Notice the great balance between dance and audiovisual work; interesting music as well. Lots of energy expenditure! ... notice their exceptional jumping style. More info about the film here. DV8... already a 'classic' of video dance. This is just a tiny example, so I recommend you to search for them and watch their whole work. It's just amazing. Little Dreams from Wilkie Branson on Vimeo. An independent short dance animation about dreams, aspirations and fears. Made with over 4000 hand cut characters over the period of a year. If you have any questions about the workflow please ask and I’ll be happy to answer. Performers: Wilkie Branson, Mariana Camiloti, Joêl Daniel, Femi Oyewole, Shantala Pépe, & Letitia Simpson. Camera: Sony NEX7 with 28mm and 50mm prime lenses & Sony EX1. Here's another example of how contemporary dance relates to technologies. Notice how a simple choreography can create an amazing emotional effect. Contact me if you wish to post, edit, remove or update your videos data.